It’s probably one of the most common New Years resolutions – “Read more books.” A lot of people say it, most of us mean, and…well we all know how best intentions go. One my my new favorite authors (meaning I recently discovered his books, not that he is new), Joe Hill says the number of pages you average reading in a day equals the number of books you will read in a year. I think he may be right about that. I have been listening to a lot of books on audible lately – because there’s so many books and so little time – but I think he’s probably right about strictly reading. In 2014 I got through 18 books – I’m sure that’s the most in a single years since I was in high school – a time when I would pick up a new book as soon as I finished one. That’s not too bad, but I think I’ll beat it this year. 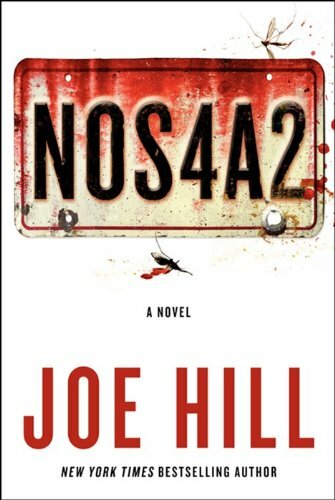 It’s hard to pick a favorite, but I’m going to go with NOS4A2 because it came as such a surprise. Since it was the first of his books I read, I didn’t really know what to expect from Joe Hill, but I absolutely love this book. You can see what I said about it here. I also really enjoyed the entire Dark Tower series from Stephen King, but I can’t just pick one book as a favorite. Actually I enjoyed everything I read (or listened to last year), which is pretty awesome because that doesn’t happen all the time. Do you finish a book if you don’t like it after you start reading? I used to, but in the last few years I have given myself permission to move on. I do a lot more reading if I’m enjoying it. Chances are I will go back to whatever it was I couldn’t finish – sometimes you’re just not in the mood for it at the time. Next Article New Photo Galleries!